It appears Democrats’ reluctance to accept defeat has disseminated from the national level and has trickled down-ballot. Doug Applegate, the failed Democrat challenger to Rep. Darrell Issa, announced his intention to run again the very next day after the California congressman was declared the winner. Despite leading in returns since the conclusion of Election Day, Issa’s victory wasn’t officially declared until three weeks later due to the closeness of the race and the slow trickle of California ballots. The Republican congressman officially won 51 to 49 percent. Without offering any concession call to congressman Issa, Applegate instead responded to defeat by making the public announcement he would run again in 2018. 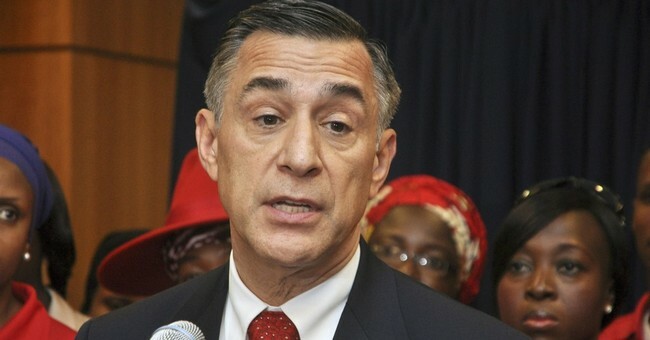 Issa’s seat became a top target for national Democrats after Applegate performed strongly in the jungle primary. The Democratic Congressional Campaign Committee (DCCC) added him to their Red to Blue program. Liberal celebrities such as Sandra Fluke (the woman made famous for demanding free birth control) visited the area to raise money to defeat the GOP congressman. Being a longtime chairman of the House Oversight Committee, Issa has been a boogeyman favorite of the left. He had held numerous committee hearings hounding various Democrats. The closeness of the race was quite perplexing. Throughout his congressional career, Issa has enjoyed safe re-elections in California’s 49th district. The 2016 campaign was the first time he’s won an election by less than double digits. The anomaly of the results may indicate an abnormality rather than a trend - Democrats should not get too excited. Also, Republicans have a history of performing better in mid-term elections. Congressman Issa is notable for being the wealthiest member of Congress and has a formidable campaign war chest. "[Applegate] getting back in the race was hardly a surprise and hardly something we're worried about. Voters already rejected Applegate once and the millions of dollars outside special interests spent attacking Congressman Issa. They'll do it again and even more easily the second time around. "Doug Applegate spent the last six months hiding 30 years as a trial lawyer with an ugly past from the voters. Running again, this time he's going to have to talk about what he actually believes. And what he believes will frighten anyone – his brand of extremism is closer to Jill Stein and Bernie Sanders than Hillary Clinton. "How many times is this guy going to run before he realizes his candidacy is just a total nothing burger?"